Lori Nix’s images are filled with personal references – friends’ names appear as types of plants, vintage postage stamps are used as beer labels, and showroom posters reference classical paintings. These are just a few examples of details Lori shared with us during her public gallery talk. 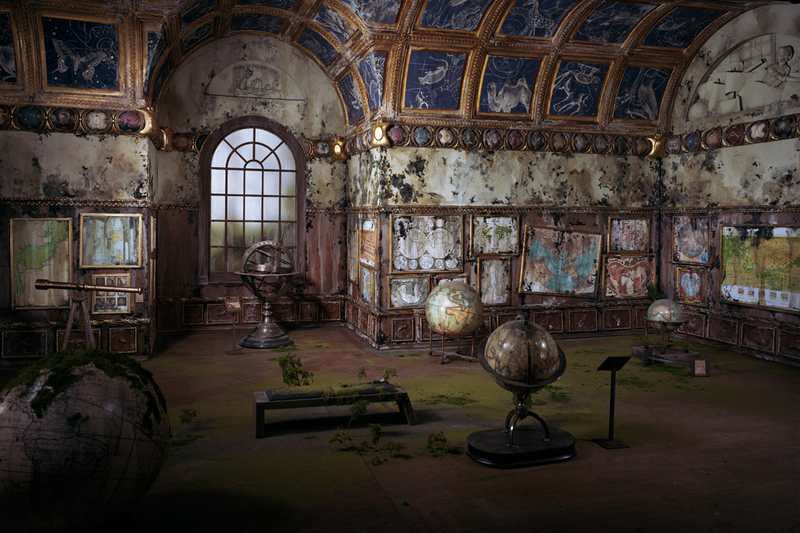 One of her newest images, Map Room, 2010, is so full of such references that we asked her to to give more insight into the piece (be sure to click the images below to view larger images).